Bailey Group - James Denham, Ph.D.
Prof. James M. Denham is a specialist in Southern and Florida history. Before joining the FSC history faculty in 1991, Dr. Denham held teaching appointments at Florida State University where he earned his Ph.D degree in 1988, Georgia Southern University, and Limestone College in Gaffney, South Carolina. 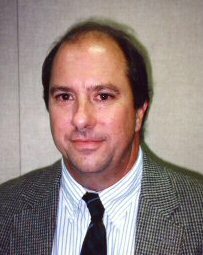 His articles and reviews have appeared in many scholarly journals and newspapers, including the Florida Historical Quarterly, Georgia Historical Quarterly, Military History of the West, the Southwest Historical Quarterly, Gulf Coast Historical Review, Tampa Tribune, Lakeland Ledger, Tallahassee Democrat, and Gainesville Sun. He is the author of "A Rogue's Paradise:" Crime and Punishment in Antebellum Florida 1821-1861 (Tuscaloosa, 1997); Cracker Times and Pioneer Lives: the Florida Reminiscences of George Gillette Keen and Sarah Pamela Williams (Columbia, 2000), with Canter Brown, Jr.; and Florida Sheriffs: A History, 1821-1945 (Tallahassee, 2001), with William W. Rogers. An award-winning author and public speaker, Denham was awarded the Florida Historical Society's Arthur W. Thompson Prize in 1992. In 1997 he was appointed a fellow to the Grady McWhiney Research Foundation, an organization committed to advancing the research of southern and military history. He has served fellowships at the U. S. Military Academy at West Point, the University of South Carolina, the University of Wisconsin, Harvard University, and the National Humanities Center, Research Triangle, NC.